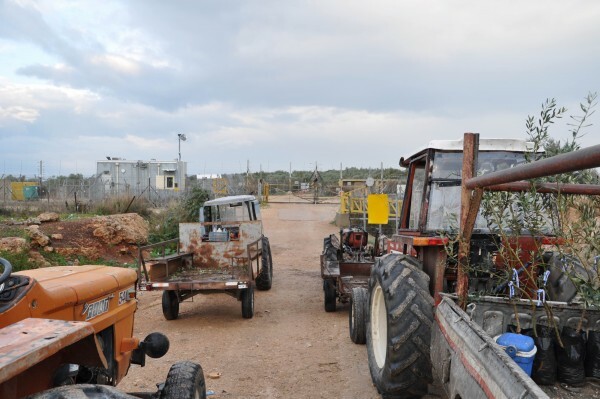 Hundreds of farmers protested on the morning of the 18th of December against the closure of an agricultural gate, which led Israeli commanders to agree to reopen the way. 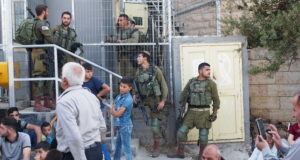 In 2002, 3200 dunumns of farmland got cut of from the rest of the two Palestinian villages of Deir Al Ghsoon and Al Jarosheyyah by building of the Israeli apartheid wall. 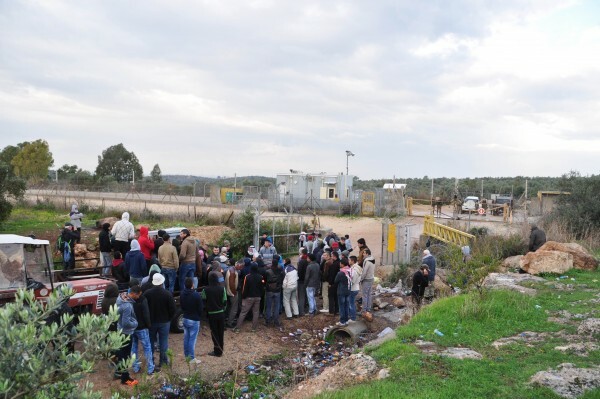 Ever since, farmers have to cross one, out of two, agricultural checkpoints in order to get to their lands. The process of getting through the checkpoint takes a lot of time and not all farmers manage to get a permission to cross. Farmer Abdullah Ghaner arrives at 6 o’clock to the checkpoint every morning in order to be among the first half of the farmers to cross the checkpoint. The soldiers are supposed to open the gate at 7 o’clock, but farmers often complain that opening hours are unreliable. “When, and even if, we get through is depending on the mood of the soldiers”, says Abdullah. He and his family own 16 dunnams of land on the other side of the Apartheid wall. The farm has been property of the family for three generation, and Abdullah is hoping to pass it on to his daughter. “We are born farmers. By enclosing our land they are trying to demolish her heritage !”, he says. This part of the wall doesn’t in-circuit any settlement or military base. The only thing between the wall and the green line is Palestinian farmland. “This piece of land has not been surrounded by the wall for security reason, they surrounded it in order to steal our land”, Abdullah explains. 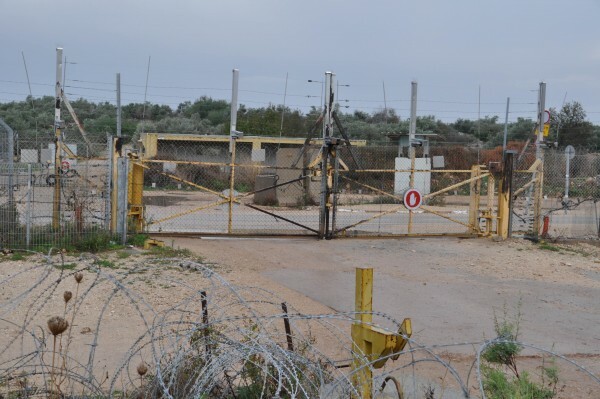 Yesterday, soldiers told the farmers that they would close checkpoint 623, one of the agricultural checkpoint leading to the farmland. Closing the checkpoint would be devastating for Abdullah and the 300 farmers that are dependent on this checkpoint for making a living. “What can we do ? he asks. We are farmers, we can only shout. They are soldiers, they can shoot”. 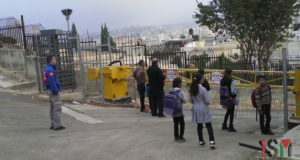 It it is not even certain that the farmers affected by the closure will get permission to enter the other checkpoint. Even if they do, the lack of roads on the other side of the apartheid wall will force them to walk for hours in order to reach their lands. It would take Abdullah 1,5 hour of walking from the other checkpoint to reach his land. 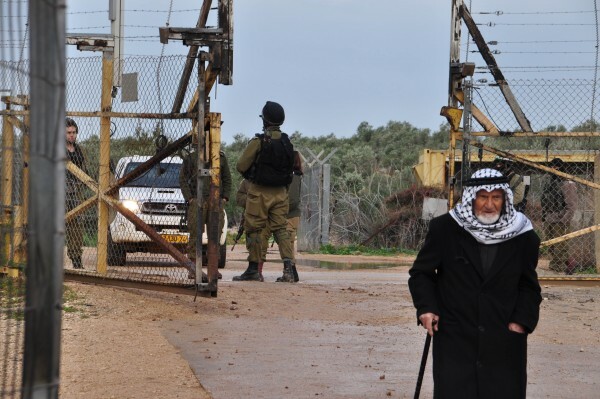 That means he would only be able to work for a few hours on his land before having to return back to the checkpoint, in order to get there before the soldiers close it. 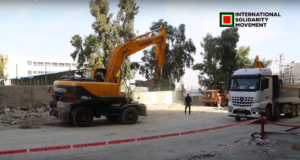 Yesterday morning farmers and Palestinian activists together with politicians gathered to protest Thursday’s announcement to close the checkpoint. 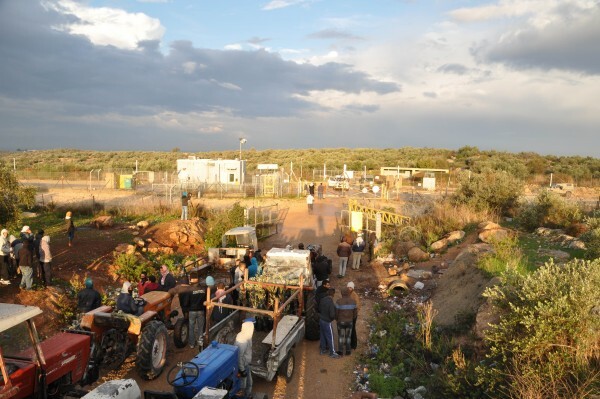 After demanding the checkpoint to remain open, and threatening to take this decision to court, Israeli commanders agreed to leave the checkpoint open. For the farmers, this is a small but important victory. 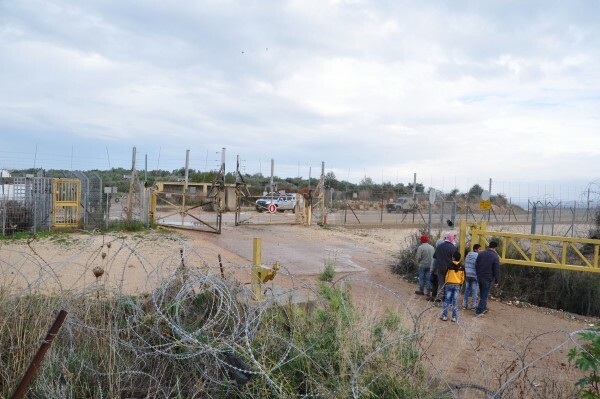 But the future of the checkpoint is still uncertain and farmers will not be satisfied until the apartheid wall has been removed, and the farmers guaranteed unlimited access to their land.